New plan outlines huge savings to be made on importation. 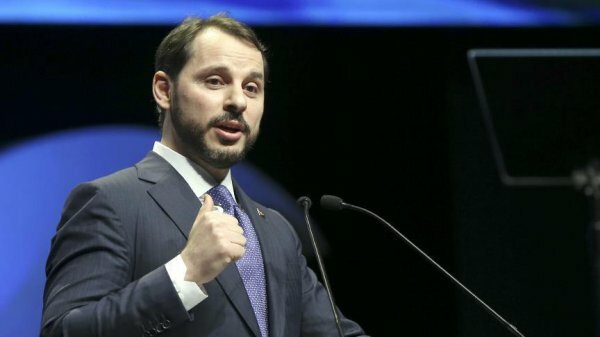 Turkey's Treasury and Finance Minister Berat Albayrak who made a statement regarding most recent economic picture said: “We are well aware of the steps we need to take to ensure that we have the strong economy we want”. Albayrak made a speech at a meeting of Turkish Exporters' Assembly (TIM). The minister stated that it is important to produce the intermediate products in Turkey. “Our ministry is ready to give support to the domestic production,” he said. “We know very well the steps we need to take. We will see the change over the next 5 years. No one should have any doubts that we will have the strong economy we desire. We expressed our willingness to fight inflation with effective fiscal policies. We have launched a stronger fiscal policy process than ever before. Turkey has a very determined authority in power. We will stick to the savings process in the public very efficiently. A much better public balance sheet is waiting for us this year.” Minister stated.